I am in love with your outfit! Wow, those denim cut-offs are gorgeous! And I love your fringe bag, just perfect! I do that too! Dig hoping inspiration will strike. Love what you came up with. 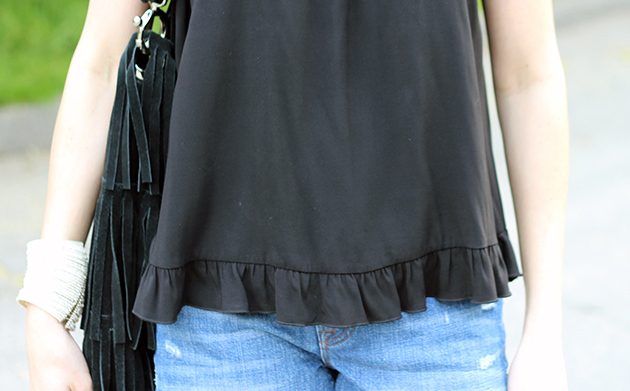 The hem on this top is so fun. In love with that awesome fringe bag and all your bracelets and dainty rings. So cute and on trend!